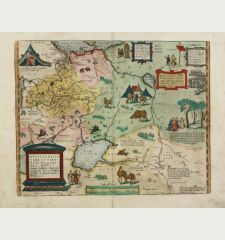 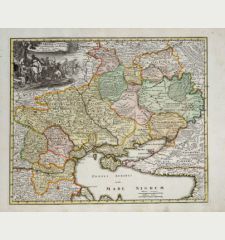 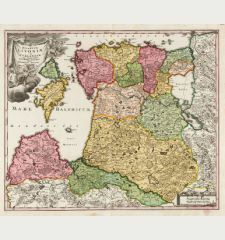 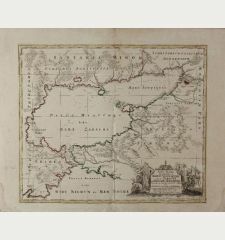 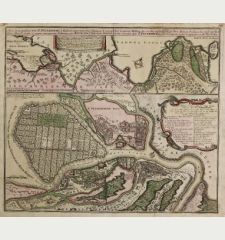 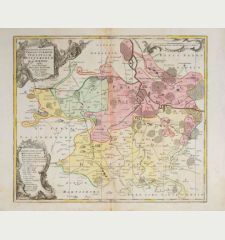 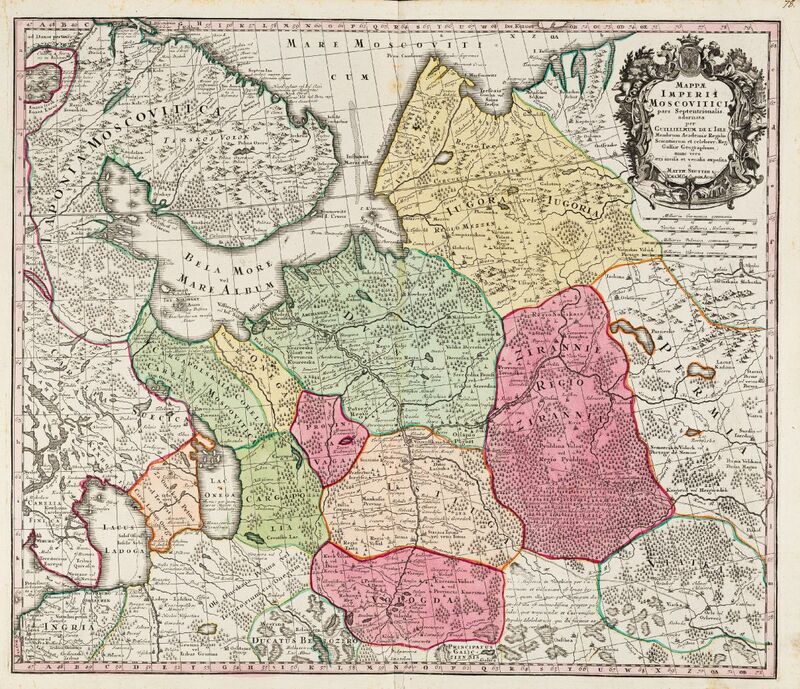 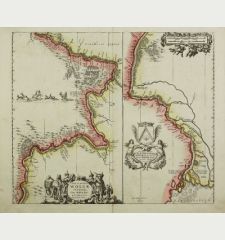 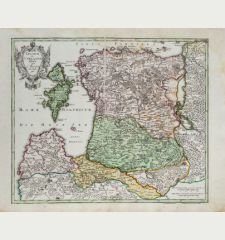 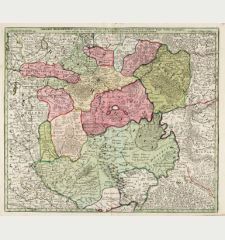 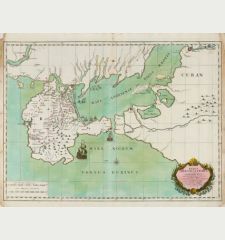 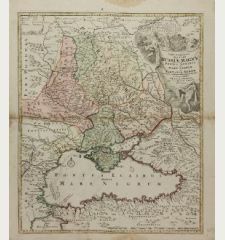 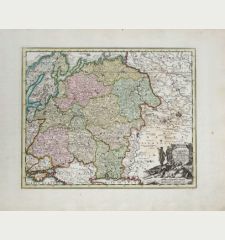 Beautiful, old-colored engraved map of the western part of Russia by Matthaeus Seutter. 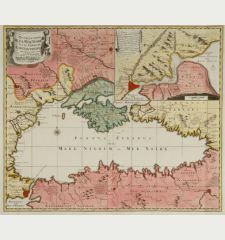 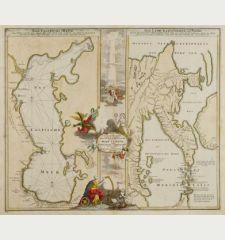 Shows the area of Murmansk in the northwest, the White Sea, Lake Onega, Lake Ladoga with St. Petersburg, up to the Pechora River in the northeast. 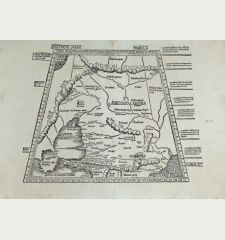 Very detailed with all the major cities and rivers. 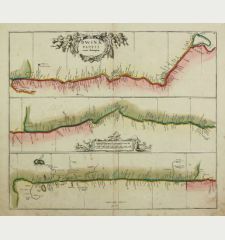 With a beautiful title cartouche on the upper right. 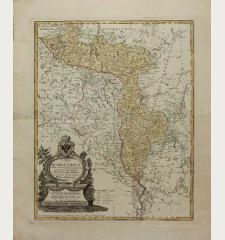 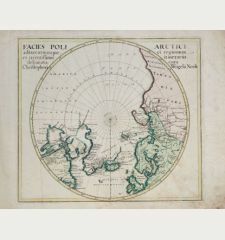 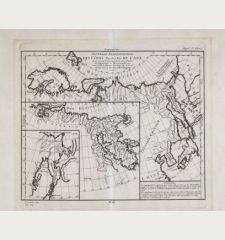 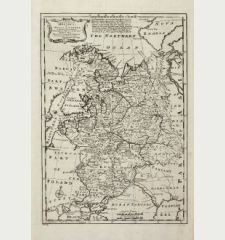 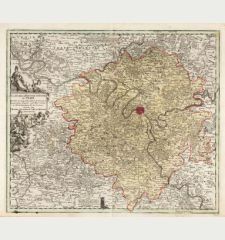 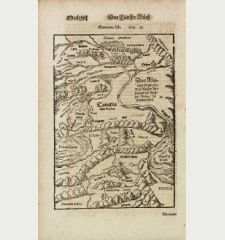 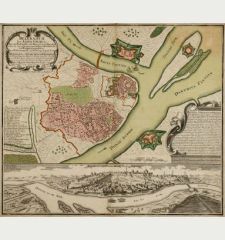 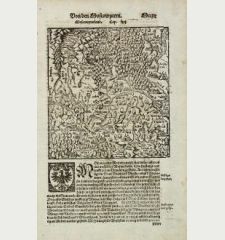 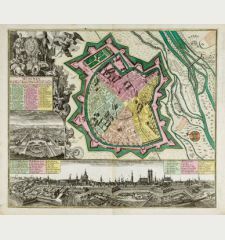 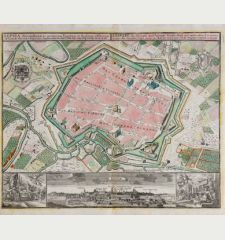 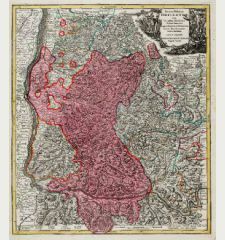 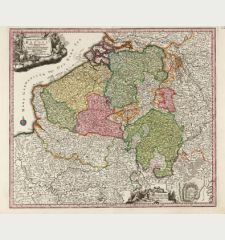 George Matthäus Seutter: Mappae Imperii Moscovitici Pars Septentrionalis.